Loving Thoughts ! A beautiful, romantic message for a 'special someone' in your life. 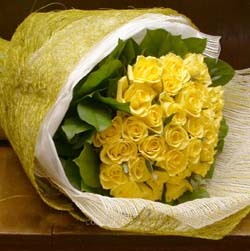 36 yellow/orange bunch roses.